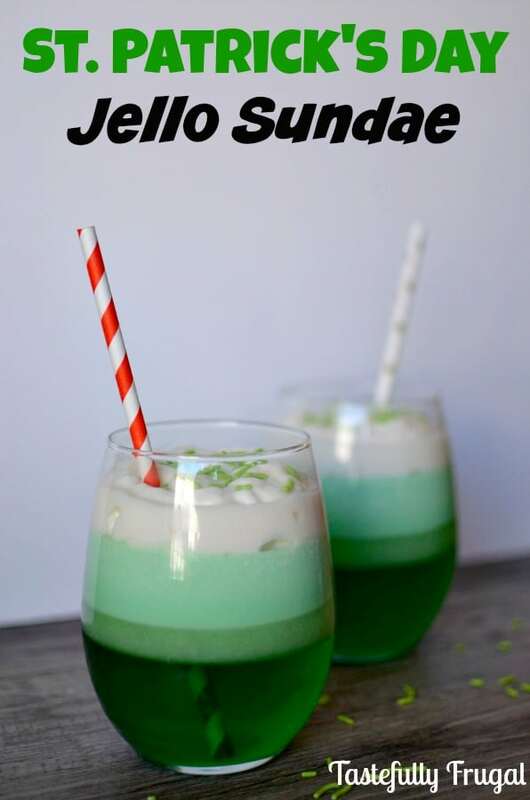 If you’re looking for a quick and easy green treat that everyone will love this St. Patrick’s Day look no further! Do you remember those Ombre Sweet Treats I made for Valentine’s Day? At least once a week since then my boys have been asking for Jello Sundaes. I don’t like making things that have color numbers (Blue 1, Red 40) because they make them crazy! But I can only so no to those sweet faces for so long before I finally give in. And with St. Patrick’s Day right around the corner it was the perfect time for me to make a green version. Today I’m over at The Things I Love Most sharing the full recipe for these St. Patrick’s Day Jello Sundaes. These jello cups are beautiful Sydney! Our kids and my husband love, love jello! Pinning! I want to try these!